The purpose of this page is not just to publish another recipe and throw you to the Glaze Dragon. For many the 'glaze recipe culture' and addiction to undocumented 'naked formulas' has meant countless 'blind alleys', years of wasted efforts, and gradual abdication of control to recipes that overstay their welcome and teach nothing. It has fostered a generation of ceramists with numbed consciences regarding their accountability for glazed ware they give or sell to others. The purpose here is to give you a 'starting point' so that you can exercise a degree of control over a base glaze to vary its color, surface, expansion, variegation, melting temperature, etc. 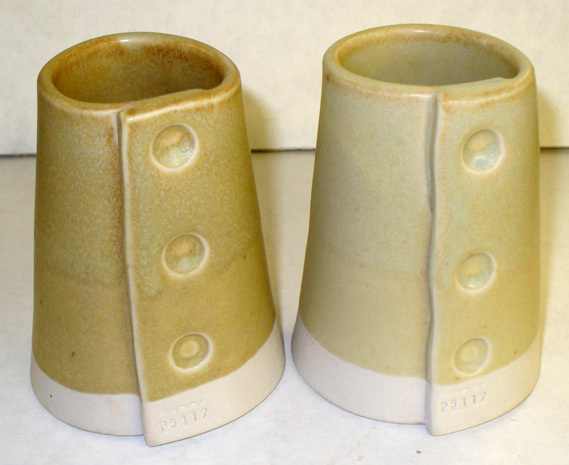 We also have starting points for cone 06 and 6 glazes. If you decide to just take a recipe from this page and try it without understanding it you will need the Potter's Prayer. This glaze can be used in oxidation or reduction for a crystal clear. It is the result of rationalizing and balancing many properties such as adjustability for melting temperature and expansion, application qualities, likelihood for consistency year after year, response to common colorants used at high temperature, fired clarity, fired hardness, oxide balance and fired stability against acid attack, etc. It works well in reduction on whiteware, porcelain, white stoneware and even reduction iron ware bodies. The zinc oxide has been included for use in oxidation to make it melt a little better. The zinc will be hostile to certain metallic colors and volatilize in reduction so you might like to test with and without it to see which works best for you. 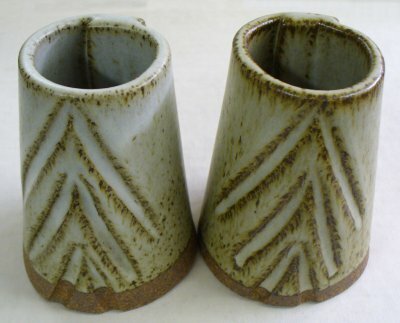 This glaze melts well at cone 10/10R so if you encounter any crazing just increase the silica until it goes away. If so much silica must be added that the glaze does not melt properly you need to add a stronger flux. For kaolin we find that EPK works best to produce a slurry that gels slightly and applies without drips or runs (if the slurry is the right viscosity). If you do not have Custer feldspar, try G200 or one with a similar chemistry. We have chosen to use Wollastonite as the source of CaO because it is much more reliable and consistent than whiting and it contributes much less to glaze bubbling. Add Zircopax (up to 15%) for white, and stains for colors as desired. Colors however will be more subdued than at lower temperatures and some, such as chrome-tin pinks, may not work at all. Add 2-15% iron for a whole range of celadon, brown crystal, tenmoku, kaki, translucent brown and crystalline glazes. About 11% is good for a tenmoku. If the iron fluxes the glaze too much, remove the zinc, fire lower or increase the silica:kaolin while preserving the ratio of SiO2:Al2O3. This glaze has been tested in high temperature oxidation and produces the same glossy transparent. However, on stoneware bodies with coarser particle sizes the surface can be slightly dimpled (whether the zinc is removed or not). Again, this recipe can be adjusted in thermal expansion to deal with crazing and shivering problems, in melting temperature, gloss, hardness, color response, etc. The secret to controlling it is being able to calculate its formula and knowing how to interpret the results. You can do this with an account at lnsight-live.com. Like the above glaze, this recipe can be used in oxidation or reduction. It is the result of rationalizing and balancing many properties such as adjustability for melting temperature and expansion, application qualities, likelihood for consistency year after year, response to common colorants used at high temperature, fired clarity, fired hardness (most magnesia mattes like this cutlery mark very easily), oxide balance and fired stability against acid attack, etc. It melts well and works well in reduction on whiteware, porcelain, white stoneware and even reduction iron ware bodies. In our circumstances this base recipe is a favorite because it produces a silky texture exceedingly pleasing to the touch and its application qualities are excellent (if you use EPK or a kaolin that gels the slurry. 7000 grams makes about 2.5 gallons. There are many dolomite/whiting/feldspar/kaolin/silica glazes out there, but this one seems to be an excellent compromise to achieve the widest range of desirable working and fired properties. To be honest there are a lot of matte glazes in use today that have very poor fired properties. Crazing and low ware strength are common because low silica is a requirement to achieve matteness. 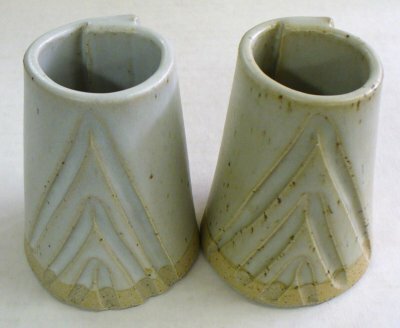 Incredibly it is a very common practice to achieve matteness by simply not firing high enough to melt the glaze properly. For this reason (an others) many mattes have severe cutlery marking problems, lack strength and hardness, and have poor resistance to acid attack. Note what we have used wollastonite to source calcium rather than whiting, this is for reliability reasons. However you might question the Gerstley Borate since it is known for inconsistency. We are tolerating it for now because its presence is minimal, it makes a beneficial contribution to the excellent slurry and application properties, and it contributes needed boron (part of the reason for its silky matte yet cutlery resistant fired surface). In future however we will be making an effort to incorporate a boron frit to supply the needed B2O3. It is possible that this recipe could be reworked to use a quality white talc to source MgO (since dolomite can be inconsistent). We will probably also undertake this in future. If you successfully do either while maintaining the same oxide formula please let us know. This glaze excels at cone 10 oxidation/reduction with cobalt where is gives a variegated surface that highlights any recesses in the surface. However, in oxidation it does not heal the surface well on some bodies like (i.e. buff stonewares). In heavy reduction it does not work nearly as well with some colorants, tending toward a drier much less silky surface. 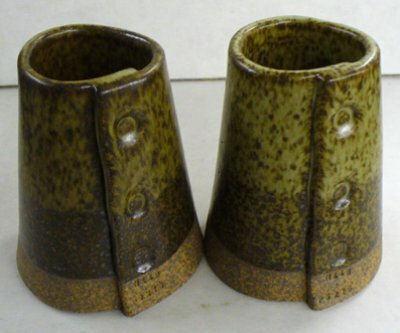 This bamboo glaze (made by adding 4% tin and 1% iron oxide (left) and 0.5% iron oxide (right) to the G2571A base recipe) amplifies the iron speckle in the body beneath (Plainsman H443). Unfortunately this looks good and but is not very functional. The body is quite porous (5% water absorption), this is necessary for the mottled brown visual effect. How do you turn a base cone 10R dolomite matte into this beautiful tan? You add up to 5% manganese dioxide. The base recipe is G2571A. 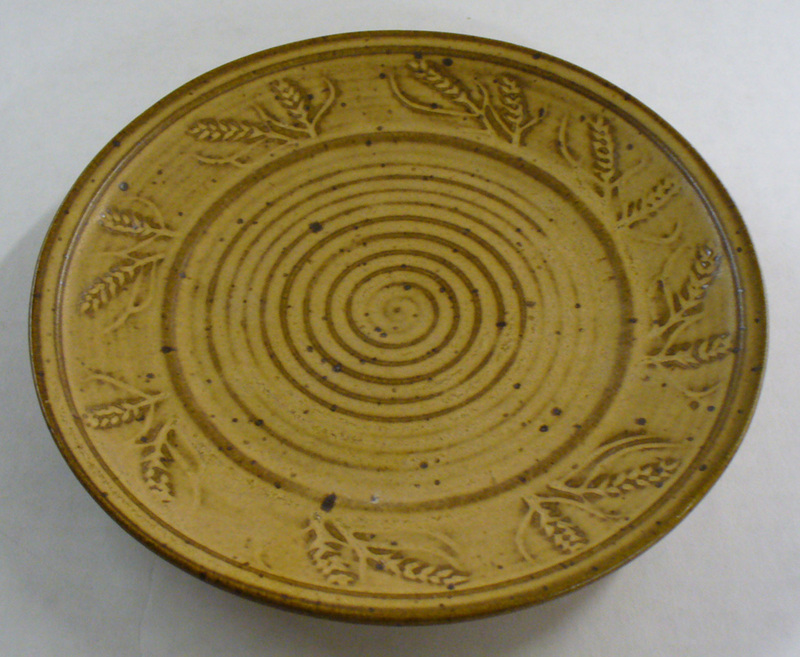 The clay body is a buff burning stoneware having iron speckle. The quality of the surface is excellent and it is durable. This is the G2571A glaze recipe. It has proven reliable and functional over many years on a wide range of clay bodies in the Plainsman Clays studio. Actually, a better brown color can be achieved using manganese dioxide. GR10-J Ravenscrag silky matte (right) and G2571A matte (left) on a dark burning iron speckled stoneware at cone 10R. Surfaces have identical feel (the chemistries are very close). The former fires a little darker color because of the iron contributed by the Ravenscrag Slip. 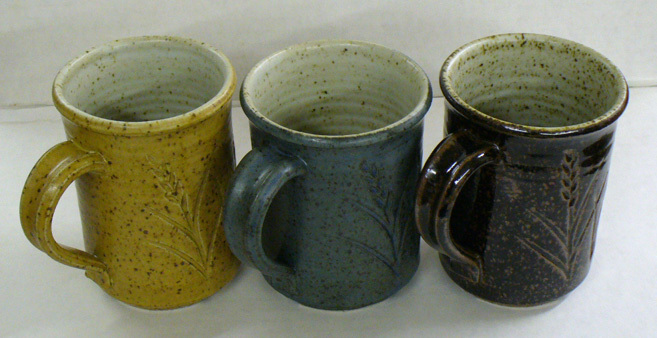 GR10-J Ravenscrag silky matte (right) and G2571A matte (left) on a buff stoneware at cone 10R. Surfaces feel identical, the slightly darker color is due to iron content in the Ravenscrag. The former was formulated to mimic the latter using as much Ravenscrag Slip as possible yet still maintain the same chemistry. (Articles) What is the Glaze Dragon?